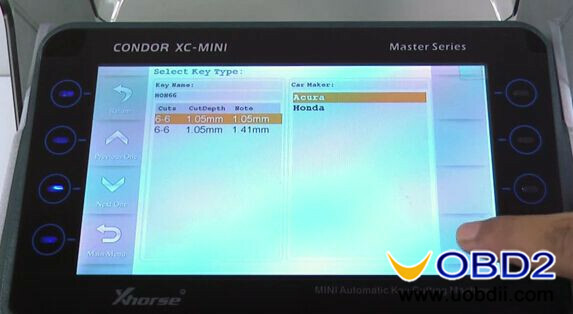 This blog is another Honda Acura HON66 key cutting guide by using Condor XC-MINI Key Cutting Machine. 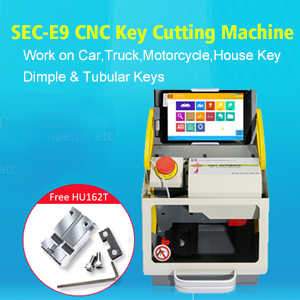 It will totally cost you only 5 minutes to cut a Honda HON66 new key. Clear and simple to operate! Step1. 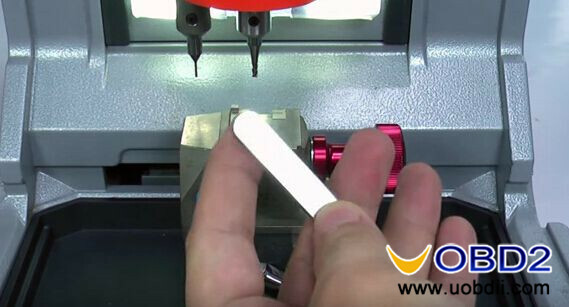 Click “Cut by Bitting”. 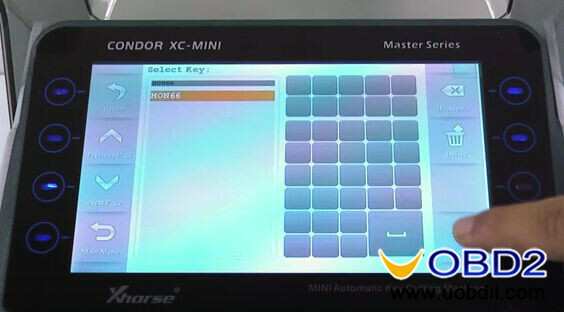 Enter “HON66” to select key. Step2. 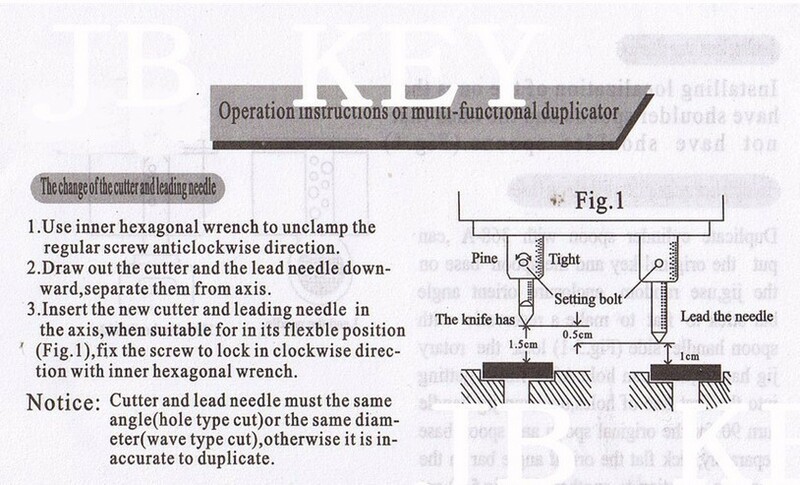 Use M2 clamp and put side A upwards according to screen diagram. Tighten the clamp. Put and tighten the original Honda HON66 key on clamp. Step3. 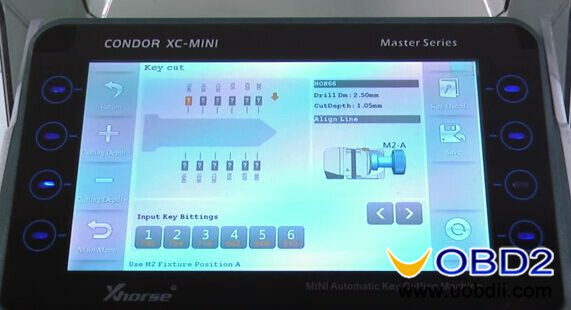 Click “Key Decode” then click “Confirm”. 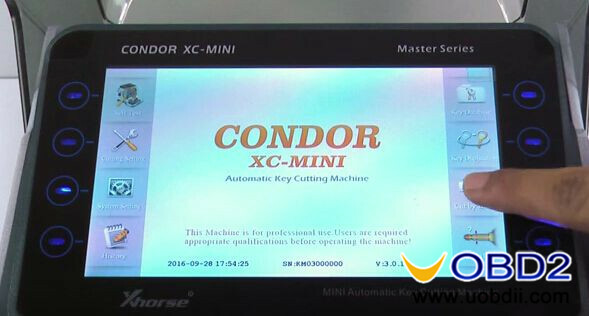 Now Condor XC-MINI starts to decode the original key. After that remove the original key and put the new key blade on clamp to tighten. Step4. 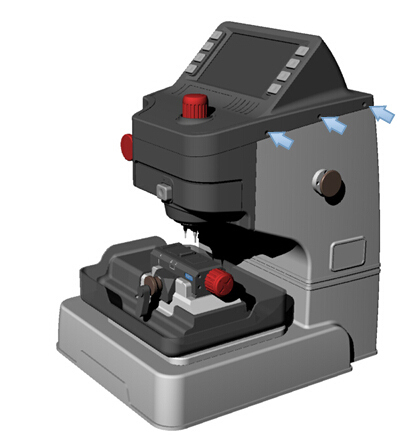 Click “Correcting& Cut” to start key duplicating. Wait a while then one side of Honda HON66 is finished. Use the brush to clean up key blade. 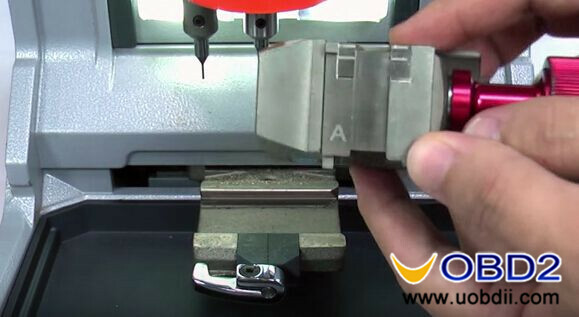 Turn the other side upwards and tighten key blade on clamp. 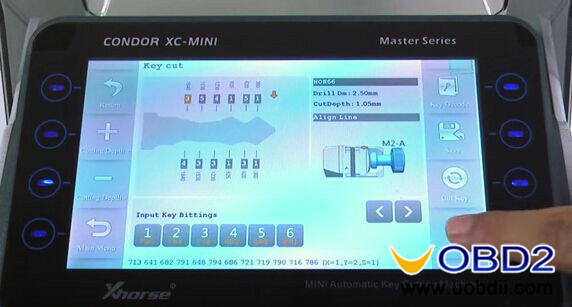 Click “Correcting& Cut” to complete key cutting. 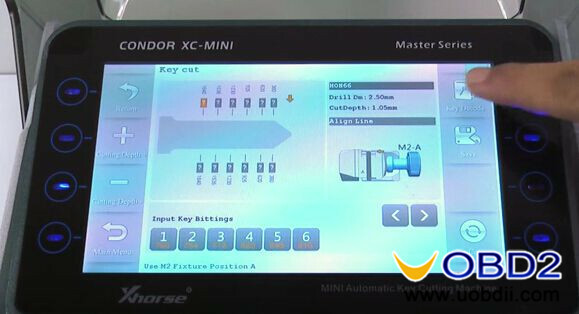 Step 1: Screw the head cover off the Condor XC-007.Note:Unplug the Flexible Circuit Board (FCB) and two button cables at the back of the head cover, Look out the front buckle during this procedure.